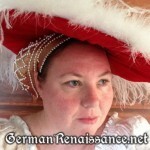 Below is a list of my patterns and instructions for various 16th century German Renaissance garments and accessories. All patterns are copyright. If you wish to share with others online, please link to the entry. Goldwork Gown – A wool and velvet gown with goldwork fashioned after the one worn by Dorothea Meyer, as painted by Hans Holbein in 1515. Cranach Saxon Court Gown – A velveteen gown with decorated brustfleck made famous by Lucas Cranach paintings. 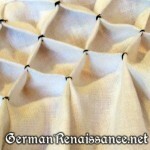 Paned or “Puff-and-Slash” Sleeves – One method of making the famous German Renaissance slashed sleeves without fraying. 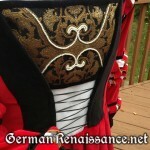 Wappenrock (Tabard) – A good tabard pattern for heralds. 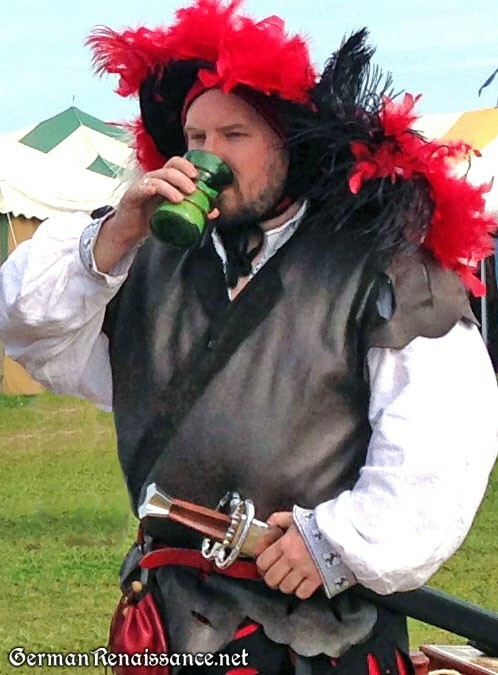 Other patterns I plan to add in the future: Schaub (coat), more headwear, and wams (male doublet). If there’s something you’d like to see, please leave a comment! Have you figured out the Grande Assiette sleeve on the Master of the Housebook dress? I’ve got all the components down, except for those stupid sleeves! Any help would be appreciated. I have not yet attempted the Housebook dress. I saw you discussing this on Facebook — did you figure it out? Unto Thea and Genoveva, I just came across this and wanted to help out. If I may ask, the sleeves in mention here, are the ones were it is noted ” not know what the slit is for or the dotted line”? 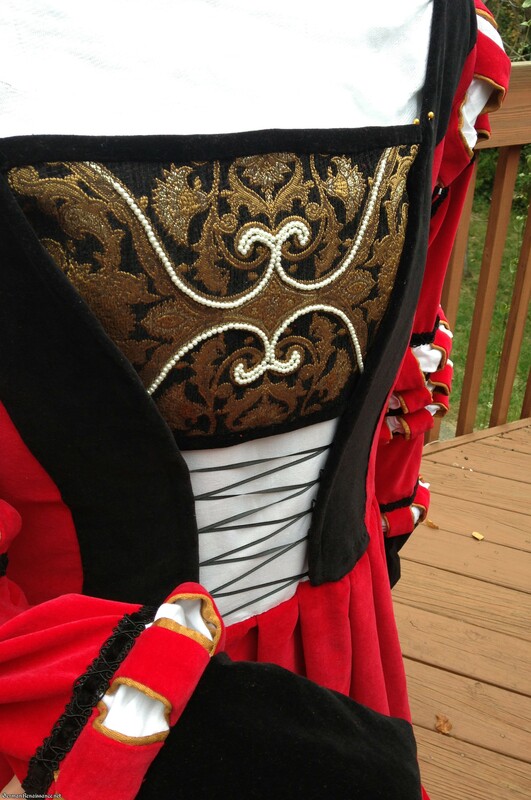 If that is the case, the slit is where the underarm gusset is sewn in. Half the diamond is sew into the slit, the other half of the diamond is sewn in going down the side seam where it meets the sleeve. Corners are set at sleeve end and side seam(2), one at the bottom of the slit and the last is in the side seam. The dotted line is the top center of the sleeve (guide line). Your sleeve seam is positioned about the center point on the back and runs down to the wrist. This keeps the seam to the back of the arm, the end at the wrist can be left open 2-3 inches with a button or tie off at the wrist. Be cautious with patterned fabric, so the pattern is upright and seam is to the back on both sleeves. 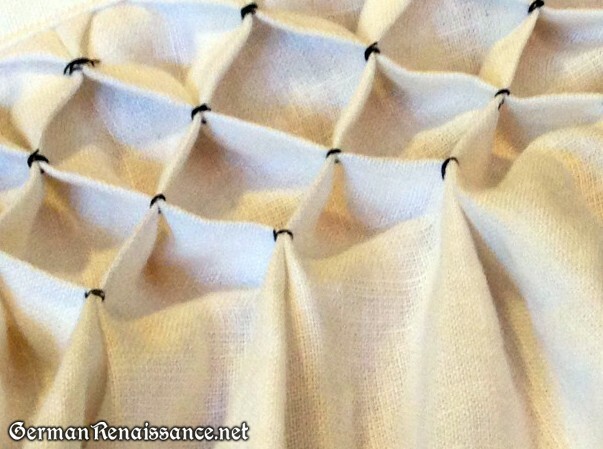 This is common in later period clothes to modern times, as opposed to earlier period where the side seam runs up and out the sleeve, staying under the arm. 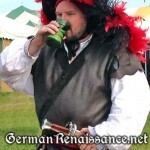 I am looking for information on mourning clothing. 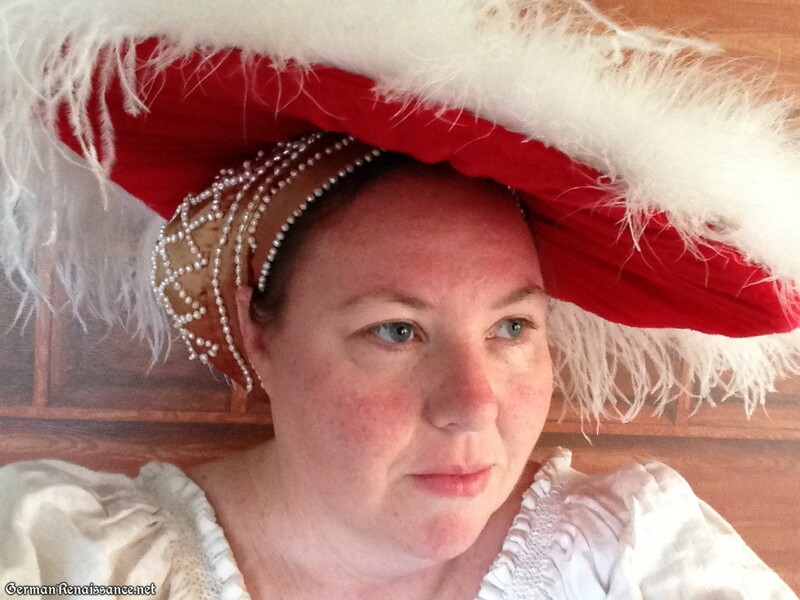 I’m interested in learning about styles, headwear and for how long a woman especially would wear mourning.